Growing up in Titusville, Florida, I was blessed to not only see a shuttle launch but also to have my windows and grounds shake during each launch. The dogs would bark, the house would rattle and I would sit on the trampoline in my backyard as a group of astronauts shot into Outer Space. We would hear the boom of the shuttle breaking through the outermost layer of the Earth’s atmosphere and watch as the boosters separated and fell into the water below. We always knew the launch was officially over when the train of smoke trailing from the shuttle faded into the clouds. Now, even though the Shuttle program has ended, we are taking the next step into Space! The entire family will enjoy a day trip at Kennedy Space Center Visitor Complex! Once you arrive, you will immediately notice the NASA Globe and the President Kennedy memorial. The next thing to capture your attention will be the peaceful and beautiful garden. Among the waterfall and flowers, you can find real missiles, rockets, and other spacecrafts. To the left of the Rocket Garden, you can enter the Heroes and Legends: The Astronaut Hall of Fame. Discover what it means to be a hero through the stories of NASA’s space pioneers. 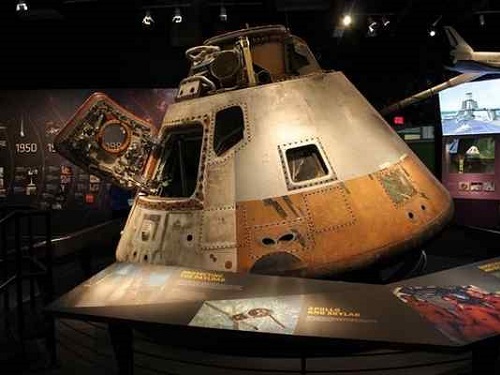 Envisioned as a place where American astronauts are remembered and honored, visitors can learn about the lives of space heroes through compelling displays. Created by the Mercury Seven astronauts, the U.S. Astronaut Hall of Fame inductees are selected by a special committee of the Astronaut Scholarship Foundation. Each inductee is honored with a plaque of their engraved image, name and rank. One of my favorite stops is the IMAX Theater! See a real Shuttle that has completed 33 Missions in Space! Now that you feel like a real astronaut, it’s time to walk over to the newest addition to the Visitor Complex: Atlantis. This was incredible. 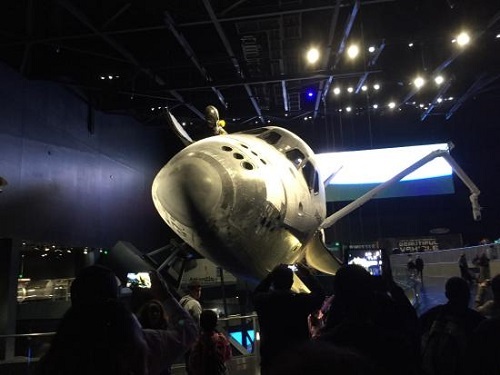 A new museum has been built around the historical Atlantis Shuttle and the Shuttle Program as a whole. This is a phenomenal addition that will make every person wish they were exploring Space. From young children playing in the space-themed jungle gym to adults playing with the virtual reality exploration games, everyone will have the chance to learn about each shuttle mission and enjoy the variety of all the activities offered. Go Behind the Gates of NASA! When you have finished the activities at Atlantis, you can hop on a bus tour to “go Behind the Gates” at NASA! This bus tour leaves the complex and heads straight past the Vehicle Assembly Building (VAB). 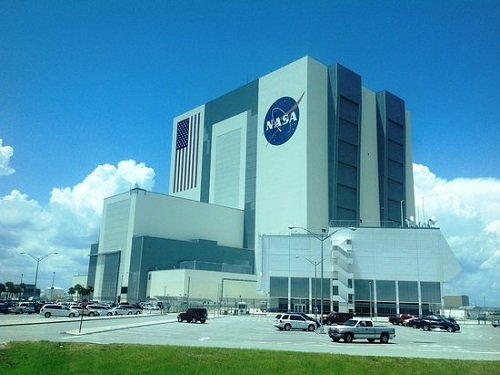 The VAB is the largest one-story building in the entire world. The American Flag that hangs on the side of the building reaches 209 feet. Each star on the flag is 6 feet tall. The VAB is where each spacecraft is assembled before going out to the launch pads. You will also see SpaceX, where the newest spacecraft is being designed. As the tour ends, be prepared to be amazed! The Apollo/Saturn V Center is an incredible journey to space. You will learn the history of rockets and how we landed on the moon. You can touch a moon rock and test out the weight of an astronaut boot. It’s a quick drive down I-95 from Royal Floridian in Ormond Beach to Kennedy Space Center. We hope you enjoy your stay and have a wonderful time exploring all the amazing wonders that NASA’s Kennedy Space Center has to offer. What did you enjoy most about Kennedy Space Center on your Royal Floridian Vacation? Share with us on Social Media!